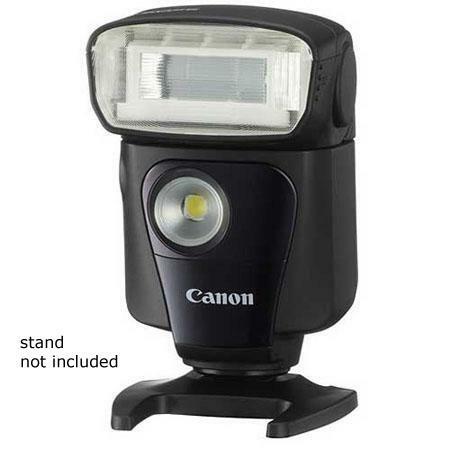 An unique feature of the Speedlite 320EX is a front mounted LED light that allows the subject to be illuminated during live view shooting. The light can also be used as a AF assist beam or can also be used to supplement the available ambient light during a video shoot. 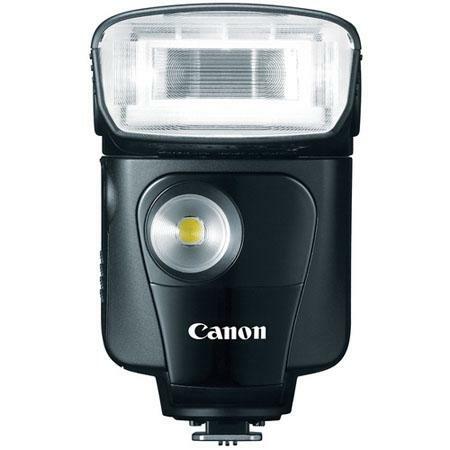 The radio transmission facility enables the Speedlite 320EX to be used with Canon EOS digital cameras which have integrated Speedlite transmitters and be used as a unit that is positioned elsewhere than the camera hot-shoe. When shooting the recycling time of the flash gun is 2 seconds. The guide number of the flash can be manually adjusted. This gives a lot of convenience to the user for the purpose of shooting great quality pictures each and every time. The standard guide number of the lens is 79 (ft.) / 24 (m) at ISO 100 for a full frame 35mm lens. When you re-adjust the position of the flash head to tele, the guide number re-adjusts to 105 (ft.) / 32 (m) at ISO 100. The Speedlite 320EX is powered by a pack of 4 AA batteries. Alternatively one can use 4 Ni-MH or lithium batteries. On a fully charged set of AA alkaline batteries the flash gun can provide anything between 180-1000 flashes. There is also a built-in power saving mode in the flash which turns the flash gun off after 90 seconds of inactivity. The external dimensions of the flash are 2.8 x 4.5 x 3.1” and it weighs 275 grams. Power Source 1) Four size-AA/LR6 alkaline batteries are used. Ni-MH or lithium batteries can also be used. External Power Source External power supply accessories cannot be used.